Enjoy a 4 night stay while only paying 3 nights! The rate already equates 1 free night and includes the daily breakfast buffet, CHF 100 food & beverage credit per person and day, minibar, butler service, 1’200 sqm Carlton Spa, high speed internet, ski shuttle to the Corviglia ski station, 24 hrs limousine service in St. Moritz, VAT and service charges. City Tax of CHF 5 per person and day is excluded. This promotion may be booked upon request and availability. When you step inside the Carlton Hotel St. Moritz, you are instantly captivated by its winsome décor. A palette of purple, yellow, pale blue, green, orange and red bursts throughout the 60 suites and junior suites in this luxury boutique hotel, the first in St. Moritz. 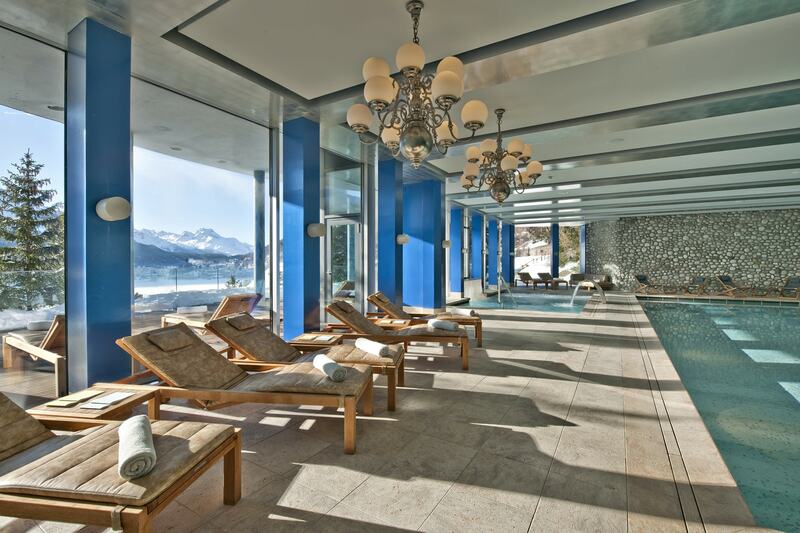 All accommodations feature butler service and offer views of the Lake of St. Moritz and the Swiss Alps. Reach new heights in pampering at the tri-level Carlton Spa, and relish the remarkable views from the bar’s sun terrace. Beyond the slopes, you’ll find everything from curling and ice-skating to an Olympic bob run.